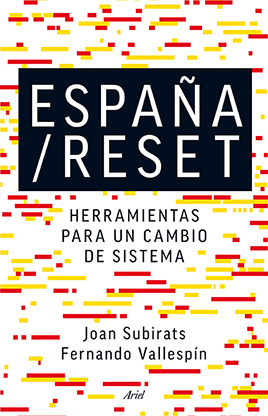 Joan Subirats is a professor of Political Science at the Autonomous University of Barcelona. He founded and directed the University’s Institute of Government and Public Policy. 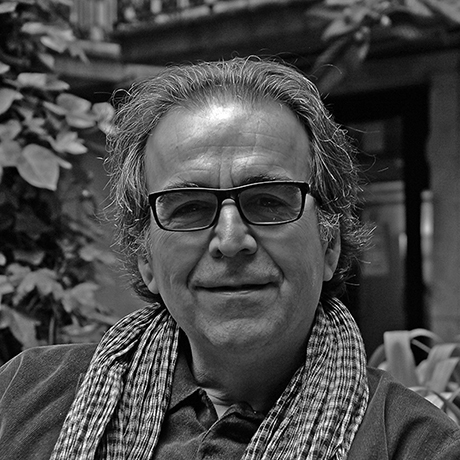 Since 2017, he has been the commissioner of Culture for the Barcelona City Council. Throughout history, especially at particularly intense moments of change (the Renaissance, the Industrial Revolution…), the debate on the role of cities has been extremely important. Rethinking the city often means rethinking life within society, our values and customs. The change in era we’re currently experiencing is altering many of the values, conceptual schemes and balances upon which post-war Europe was built. The “Ciutat Oberta” (Open City) Biennale seeks to connect reflections on the role of the city at this crucial moment with the great schools of thought that are currently debating the future of democracy, the explosion of differences, and the challenges technological change poses for the validity of the urban models that still predominate. For a long time now, cities have been spaces and places for intense coexistence. The concentration of people, the need to find necessities outside of the city and to produce in order to exchange, or the great possibilities for innovation generated by the density of connections and interactions have made cities special places. Attractive, but also difficult. Cities combine the dimension of “space” with the dimension of “place”. They aren’t just physical settings where things happen; they’re also places where many different identities, interests, projects, memories and meanings come together. And spaces and places are equally important. A city’s spaces are used for celebration and conflict, and are where all sorts of human and social events are experienced intensely. It shouldn’t surprise us, then, that when the world undergoes a change in era, times where many of the parameters for social interaction (family, work, information, science, technology…) change rapidly and intensely, cities need to rethink themselves. Today, the uncertainties hanging over our future, the doubts on the continuity of many of the collective solutions we’ve found for all manner of social conflicts, are generating worrying tendencies towards societies closing in on themselves and rejecting “foreigners”, making others responsible for our anxieties. Cities have always been open spaces that need new blood and newcomers from all over to continue innovating and finding new opportunities. The “Open City” Biennale that will be held in Barcelona starting on October 15 seeks to connect reflections on the role of the city at this change in era with the great schools of thought currently debating on the future of democracy, the explosion of differences, and the challenges technological change poses for the validity of the urban models that still predominate. As already stated, many elements seem to indicate that the change in era we’re experiencing is altering many of the values, conceptual schemes and balances upon which post-war Europe was built. Back then, Europe was struggling to rebuild democracy within the context of an industrial society, using redistributive welfare policies to compensate for the imbalances inevitably generated by a market economy. Both in Spain and in Catalonia, this European pattern served as a model at the end of the ‘70s, when we were restoring democracy just as the rest of Europe was beginning to question many of the principles from 1945. If we all agree that imagination, creativity, innovation and flexibility are necessary attributes of the society we’re rapidly becoming, the combination of education, science, art and culture is central to any contemporary sense of progress. Today, we’re aware of the huge technological transformation having an impact on our methods of production, models of consumption, how we generate and distribute information and knowledge… All within a context shaped by great diversity in all areas, within an unstoppable trend towards globalization, but also with movements that seek protection through closed doors and cultural homogenization. Scientific and technological knowledge is at the centre of this context, both because of the profound effects of technological change and the huge number of ethical and cultural uncertainties stirred up by our constantly pushing back the frontiers of knowledge. In all of this, cities continue to serve as privileged poles where diversity, opportunities, innovative potential and creativity accumulate, to solve through proximity what can often barely be defined from far away. Cities are where knowledge accumulates, along with spaces for interaction and for bringing together learning and opportunities. At the same time, opportunities and problems make their way towards cities, which often lack the power and resources to face new obligations. This density both demands and justifies the facilities and services to face increasingly complex and interrelated problems. All of this is within the context of a global network economy that uses digital tools to move and innovate while ignoring borders and nation-state mindsets. Cities are, therefore, spaces for experimenting with new ideas of progress, and at the same time they need to be spaces for the protection and acknowledgment of diversity when faced with the uncertainty of the present. It isn’t easy to determine what central elements a city and its citizens need to face new trends in work, exclusion, innovation or marginality. Education continues to be key to reinforcing the abilities of individuals and communities in this uncertain setting. Increasingly, however, it becomes clear that other complementary —and ultimately decisive— aspects like cultural baggage and scientific and technological knowledge need to go along with education. It’s this cultural baggage and this capacity to understand scientific and technological innovations that strengthen an individual’s ability to network, share ideas, and improve individual and community responses to problems that are increasingly hard to define and solve using the skills and educational specializations of industrial society. If we all agree that imagination, creativity, innovation and flexibility are necessary attributes of the society we’re rapidly becoming, the combination of education, science, art and culture is central to any contemporary sense of progress. Cities, democracy, culture, art, science and technology are key elements that we would like to combine with particular intensity from October 15-21 and in the following weeks. Our idea is to mobilize all manner of individuals, groups, private and social entities and institutions to address these subjects. We hope to do so through a range of activities addressing a range of subjects, from street events to sessions held in bookstores or libraries, cultural productions and in-depth workshops. We hope to set in motion a successful experience that will continue in the future. Our inspiration comes from other, similar experiences held in cities across Europe and the world (Modena, Turin, Berlin, Dakar…). We also follow the example of activities held in Barcelona itself (Barcelona Pensa, Kosmopolis, Literal…). This first Biennale will follow multiple paths to deal with themes that are powerful in and of themselves, but that often become entangled: cities and democracy, cities and diversity, cities and technology, cities and urban fabric. We would now like to indicate some of the things that guided us to these paths, helping us to imagine a map of the Biennale. It doesn’t take much to justify concern for the health and quality of democracy in the world and for the significant dilemmas stirred up by globalization. The great uncertainties affecting the future in areas as basic as work or subsistence reinforce the need for protections that come into conflict with ideologies rooted in marketability, ideologies working to dismantle the welfare systems tirelessly assembled over the course of so many years. We’ve seen how this stirs up ideas based on closed doors and authoritarian trends that seek security even if it means restricting freedom. States already have some difficulty dealing with these challenges, but cities can’t postpone their response to problems that affect them day after day. Cities have to take on many more challenges than they’re prepared to deal with using the powers and resources at their disposal. Meanwhile, the problems they have to face are very similar to those faced by many other cities around the world. Cities are nearby and global at the same time. Links between cities —cooperation when faced with common difficulties— increase in spite of divisions between nations or states. We hope that the Biennale will address such subjects. In addition, cities have always been an expression of coexistence without the restrictions of identity or homogenization. 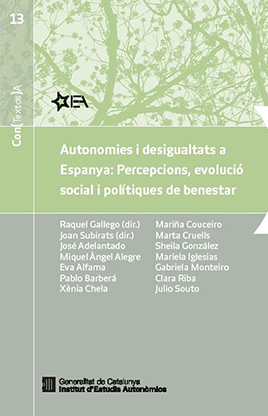 More and more, diversity is gaining strength and taking its place alongside the essential values of the 20th century: personal autonomy and equality. Different types of diversity —gender, sexual orientation, dietary, cultural, religious or even mobility-based— find ways of expressing themselves within cities, and they increasingly demand both public and institutional recognition. This explosion in diversity come into conflict with tendencies towards restrictions based on identity or on perceptions of security. Cities need to continue to be an expression and a refuge for diversity, with explicit recognition that dignifies each person’s options and permits coexistence through difference. It’s no coincidence that cities have become testing grounds for technological changes. Cities are dense spaces, used to trying out innovations; places that make pilot tests easy. Concepts like the “smart city” have spread rapidly, even if they sometimes lack a critical perception of the diverse effects that these changes have on how people interact and communicate. The technological revolution of the Internet and the digital sphere has altered what we once considered the borders of knowledge, or the recognition of the individual’s role in the production of knowledge. Cities condense talent, knowledge, disruptive abilities and opportunities, while also allowing for interactions and synergies that aren’t easy in other settings. We need to look at the political aspect of the technological debate; to discuss who wins and who loses, and how costs and benefits are distributed. We also can’t forget about the spatial aspect of cities. What lies ahead for cities as groups of houses, facilities and public spaces? Urban populations are growing nonstop, yet we remain unsure about densities, the distribution of uses and individuals, mobility… At the same time, cities accumulate financial and speculative interests that often affect the cost of housing, as is happening in Barcelona. Here again, we need to discuss cities and their future, and we need to hear voices from cities around the world, to examine the experiences and ideas they have to offer. All of this has inspired us to promote a new experience that we hope has come to stay. We hope this experience continues and that the city makes it its own, so that Barcelona can continue to find ways of rethinking itself and of remaining open and plural.